This is the overview page of Ambroise’s wrist orthoses. 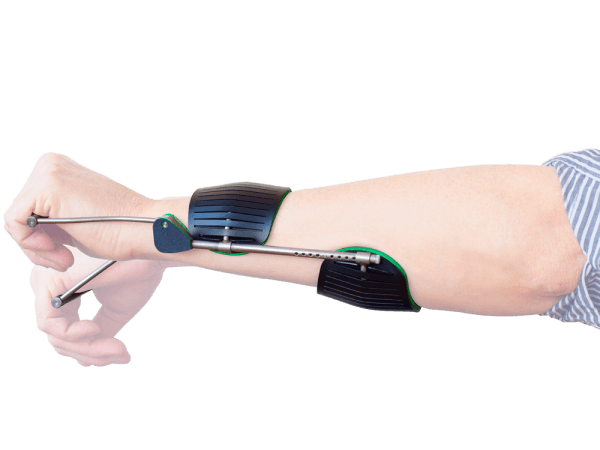 We both have a static and a dynamic wrist orthosis (also called wrist brace or wrist splint) for you in our portfolio. The Ambroise Dynamic Wrist Orthosis is for people who have difficulty in lifting their hand. The Static Hand Splint is primarily intended as a rest splint for people with a spasm. Click on the products below for more information.